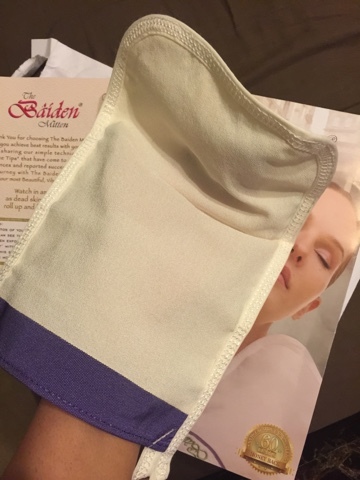 If you're looking for 'natural', something to exfoliate while giving a gentle massage, the Baiden Mitten is what you want. 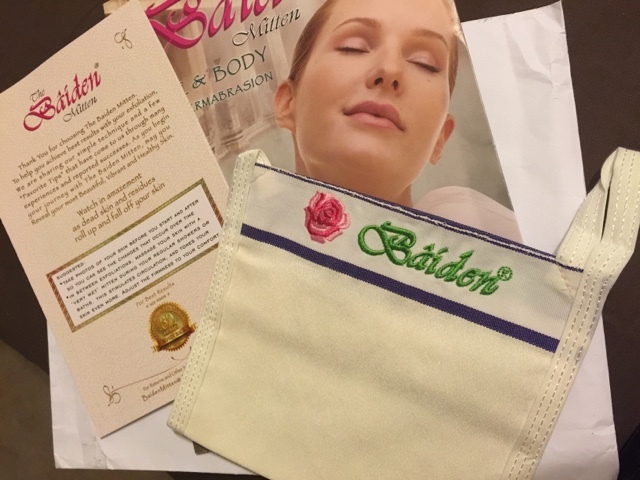 Baiden Mitten is a great exfoliater for the entire body. It works well for getting rid of dead skin and making you feel very refreshed and its fits in your hand perfectly. Once soaked in water the fibers expand and become flexible and reasonably soft, yet strong enough to clean the skin and feel comfortable. I love Baiden Mitten and use it twice a week. The light scrubbing effect is more satisfying for me than the sponge which merely glides over the skin. Right out of the shower I immediately apply lotion for glowing skin. 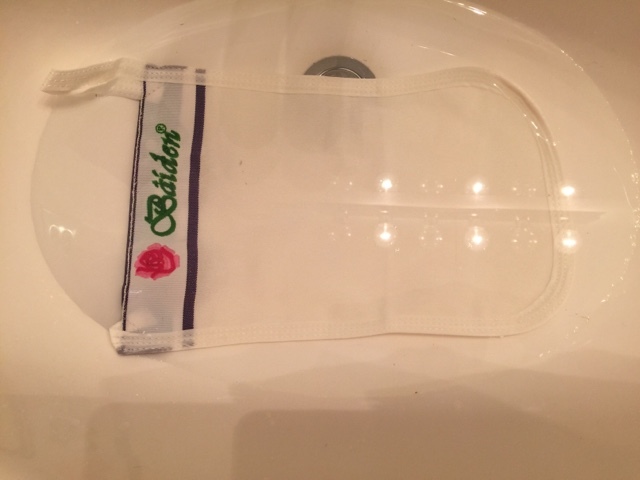 This Baiden Mitten dries quickly after use, no odor, no bacterial build-up. IT WORKS & WE'LL PROVE IT: IF YOU DON'T LOVE THE RESULTS WE'LL REFUND YOU! -If you aren't happy with the results of our powerful, proven exfoliator and skin healer, we'll send you a full refund. Treat yourself to something that actually works! 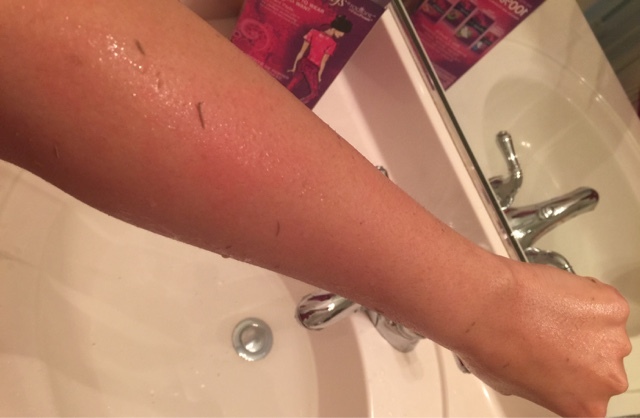 THE SECRET TO HEALTHY & BEAUTIFUL SKIN IS PROPER EXFOLIATION, AND THIS IS IT! -Maybe you've been dealing with dry skin, wrinkles, scars, cellulite, stretch marks...regardless of the issue, have you been properly exfoliating? You need this! YOU'LL SAVE MONEY & SEE BETTER RESULTS...HERE'S WHY -We've created a superior product that'll last at least 2 years (or over 100 microdermabrasions for your face & body) AND will improve your skin dramatically after just 1-3 sessions! Try it now. DON'T BUY ANY EXFOLIATORS ANYWHERE WITHOUT READING THIS FIRST --> -Please don't fall for tricks or gimmicks of other sellers. Is it from a reputable seller? Is there a guarantee? Did you check the reviews? Watch for poor quality imitation products. DON'T YOU WANT BEAUTIFUL, YOUTHFUL, VIBRANT SKIN ON YOUR FACE AND BODY? -Don't settle for toxic cleansers, expensive procedures, or ridiculously hyped exfoliators that don't work. Buy yours now before they're completely sold out and it's too late.